Governor Dannel Malloy signed a bill Monday that clarifies state laws on police officers' authority to make arrests outside of their own towns. 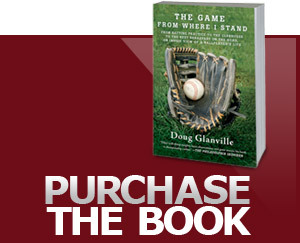 The measure stemmed from an article written by former Major League Baseball player and Hartford resident Doug Glanville on racial profiling. At the signing, Governor Malloy was asked about Ferguson, Missiouri. Last night's protests surrounding the anniversary of Michael Brown's death resulted in nearly two dozen arrests. Watch the governor's ceremonial signing of the "Glanville Bill" via CT-N.
Malloy said many of the conditions in Missouri don’t exist in Connecticut, particularly the fact that some municipalities in Missouri receive up to a third of their income from fines and fees from tickets issued by police. "Having municipalities set up where a substantial portion of their income comes from hassling their citizenry doesn't make any sense," said Malloy. "You couldn't go out of your way to design a system that's more likely to put your police force in a very difficult position with respect to the citizenry that it's supposed to protect." Malloy also compared Connecticut's minimum six months of training for state troopers with Missouri, where police officers may be on the job after less than 150 hours of training.